Homepage F1 Features Why The Hate For Robert Kubica's Return? Formula 1 fans loved Robert Kubica in his earlier days. However, Williams’ choosing of Kubica over the younger Esteban Ocon has brought unexpected hate towards the Pole as he prepares for his miraculous comeback. Formula 1 needs to cheer him further! The year was 2010. Kubica, then driving for the Renault F1 team (later rebranded as Lotus) was a driver to watch out for — he was already a race winner (Canada 2008) and a multiple-time podium sitter. The paddock was abuzz about a rumoured move to Ferrari in 2012 to partner Fernando Alonso (which Kubica later confirmed). And that’s when life dealt a fierce blow to the Polish driver — he suffered a life-threatening rally crash at the Ronde di Andora rally in 2011, which led to partial amputation of his forearm. It is ironic to note that Kubica’s accident was actually at a rally he opted to drive in for the sheer love of racing — testimony to the true-blooded racer that he is (in fact, it was Kubica’s crash that prompted Formula 1 teams from stopping their drivers from racing in other series). When we exited the media session with Kubica, we could just ‘feel’ that he yet had it. Not just the speed — that is non-negotiable — but the will to fight, to persist, to prevail. We joined the legion of fans hoping to see this miraculous comeback attempt fructify like it now has. The second seat at Williams had a lot of applicants — Sergey Sirotkin, the team’s current driver; Esteban Ocon, who’s out of drive for 2019; former Haas racer Esteban Gutierrez; Kubica and others; quite the irony given that this is the slowest team on the grid we are talking about. However, given Williams’ recent fortunes, both on-track and off it, it is no surprise that the team was as interested in Kubica’s sponsors as they were in his speed and talent. Yes, it is somewhat unfair that a bright talent like Ocon has been overlooked by Williams, but then again, after eight long years, maybe life wishes to give Kubica a second chance at re-establishing his name in the world of Formula 1. But can he? To assess the success Kubica’s return, we may need to apply different metrics given the sheer nature of personal difficulties the Pole has overcome in the last many years. First, his comeback effort is complete; an applaud-worthy effort in itself. Renault and Kubica made headlines in 2017 when they did multiple tests to ascertain the seriousness of the Pole’s comeback attempts. When the hopeful Renault-Kubica alliance didn’t go through, it was easy for pundits to point towards a possible lack of speed for the driver. 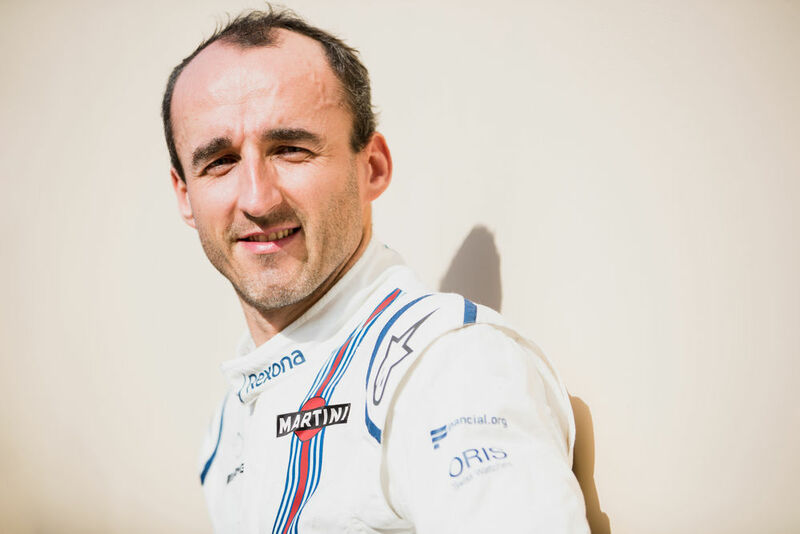 But it seems that Kubica has done enough on track and off it to convince Williams that he is their best choice for 2019 — after all, they had all of 2018 to assess his capabilities and limitations. For Williams, apart from the obvious financial benefit, even if Kubica lacks speed, they will stand to benefit from his experience of having raced in 76 Grands Prix as they work hard to tide over their toughest seasons in the sport. If not for Williams, Kubica was in line to sign up for a simulator role for Ferrari — another indicator of his capabilities as a driver. Martini’s Exit Cost Kubica A Seat In 2018? But for 2019, Kubica’s performance will be judged on two parameters. First, his ability to lift Williams from their misery — although this can’t be a singular effort. Like we already know, Williams are struggling for pace — they are a shadow of their glorious champion selves. Expecting Kubica to make a fairytale comeback (that, for example, takes him into the championship points) is a long shot. But when you put aside the expectations and watch Kubica at work in the cockpit and fighting all odds to be there — you realise that this is indeed the fairytale. The world of Formula 1 is where every driver is out to prove to the other that he is the best. But Kubica’s case is different. He is out to prove to himself that he is still able to race to his potential, against the best drivers in the world and hopefully better them like he did in his heydays. Whether he is able to do so or not is another point altogether, but one can’t not be in awe of Kubica’s achievement already. The Polish company backing millions on Kubica’s comeback to Formula 1 definitely has some smart marketing executives! Personally, we are curious to see what Liberty Media makes of Kubica’s return. After all, it’s not everyday that the sport has the honour of witnessing such a legendary story up close. In an era dominated by Lewis Hamilton (and Mercedes), Kubica’s comeback offers an exciting, different narrative. After all, anyone can be a champion in the right car — but how many can be champions even when the chips are down? To sign off using Kubica’s own words — “This is an opportunity to live my passion for the sport. I still feel like a racing driver honestly, although I am not racing. But I am not thinking about what will happen in the future. But if I did not try to make a comeback to racing, I would not be here.” Luckily for Kubica, the future is now here. Next article Next post: Which Team Could Alonso Return To F1 With?